If you want to learn about the history of Cocker Spaniels, you'll find everything you need here including the controversial tradition of tail docking. Simply scroll down here. The history of Cocker Spaniels is a little fuzzy but they can be traced as far back as the 14th century. It's said that the breed originated in Spain and that the term 'Spaniel' comes from the French word for Spanish (Espaignol). Once upon a time, there was no formal classification between the different spaniel breeds, they were all known simply as 'Spaniels', sometimes also spelled 'Spanials'. All spaniel breeds are descended from this very old, original dog breed. They were very popular with hunters because they were eager, energetic dogs and could easily flush out and retrieve game and birds...in fact, anything that moved! During the 17th century a variety of Spaniel breeds began to emerge in Western Europe. Although the work of flushing and retrieving was similar, the hunting landscape and type of animals hunted differed depending on the region, which eventually led to a need for different characteristics in the dogs. Originally, they all came from the same litter but were separated by size and weight and given their 'jobs' accordingly. The smallest dogs in the litter would be used to scramble through shrubs and the undergrowth to flush and retrieve woodcock, which is where the Cocker got its name. The largest dogs would be used to spring birds and small game and that's where the term 'springer spaniel' comes from. As the need for different characteristics in hunting dogs was becoming more apparent, the best Spaniels were bred to create puppies which better suited their environment. This is where the 'split' begins; from field or springer spaniel to Cocker Spaniel. Unfortunately, the characteristics of these puppies were often inconsistent, and in 1885 the Spaniel Club formalized breed standards to help identify the differences. 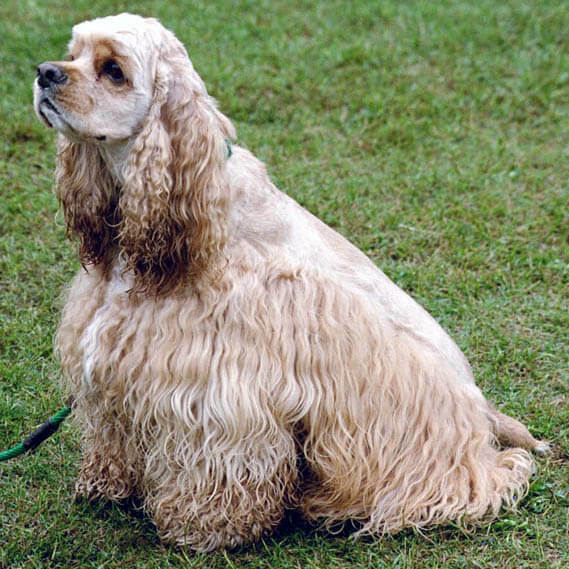 The American Spaniel Club was established in 1881 but didn't formally recognize the English Cocker Spaniel until September 1946. Dogs under 25 lbs were classified as Cockers because they were ideal for flushing out woodcock in low dense woodland and thick undergrowth. Those over 25 lbs were classified as Springer Spaniels or Field Spaniels because they were very efficient at springing game. 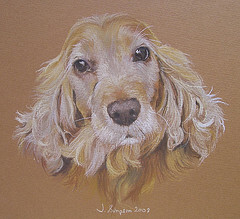 The Cocker Spaniel Club was formed in 1902 and its aim was to promote the welfare of the Cocker and to encourage breeders to breed their puppies to a common standard. Whilst we recognize that there are many varieties of Spaniels, this website focuses on the English Cocker and it's American cousin. Tail Docking: Love It Or Hate It? Historically, Cocker Spaniels used to have their tails automatically docked, usually when they were between three and seven days old. Docking is a 'simple' procedure where the puppy's tail is shortened to a small stump. It would often be carried out either by the breeder or the vet. The original reason for docking was that tails often became damaged during a hunt and would subsequently need to be removed. It wasn't long before it became 'traditional' to automatically remove Cocker's tails. Thankfully, this practice is now illegal in many countries, although vets are allowed to remove a tail where they deem it necessary. Max has a docked tail because the breeder felt it was traditional. She had it removed just after he was born - days before the ban in the UK. Personally, I prefer to see their tails left as they are, however, I love Max just the way he is! I hope this potted history of Cocker Spaniels is enough to satisfy your curiosity. However, if you're hungry to learn more about this wonderful breed, why not take a look at some of the titles below, perhaps starting with the Cocker's endearing characteristics and gentle temperament? You'll soon see what all the fuss is about!